Every year, caregivers and seniors voice how confusing and time-consuming it can be to find the “right” Medicare Advantage plan that meets the needs for drug coverage and containing out-of-pocket costs – needs that are difficult to meet with Original Medicare. As a result, the search is often put off until it’s almost too late. Because seniors’ health care needs change over time and often become costlier and more complex, it’s essential to review plan options every year. It’s not too late to find a new, more appropriate plan that would take effect Jan. 1, 2019, especially if there have been significant health changes in the past year or anticipated in the new one. With just a few days before Medicare’s annual election deadline of Dec. 7, here’s what to look for when evaluating the best coverage for your older adult. First, it’s important to understand the difference between Original Medicare and Medicare Advantage. Original Medicare is offered through the federal government and includes Part A (inpatient/hospital) and Part B (outpatient/medical) coverage. Medicare Advantage, known as Part C, includes everything covered in Original Medicare plus additional benefits, but is provided by private insurance companies that contract with the federal government. Worth noting is that, earlier this year, the Centers for Medicare & Medicaid Services expanded what Medicare Advantage plans could cover as supplemental health benefits, incentivizing those plans to take a more holistic view on health care and include benefits such as post-hospitalization meal delivery and transportation to doctor appointments in their plans. 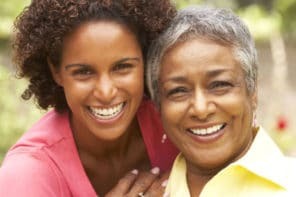 When looking for a Medicare Advantage program, the best plan is one that meets most of your older adult’s specific medical needs, offers plentiful doctor and hospital choices, covers medications they use, provides additional benefits that meet their physical and emotional needs, and – most importantly – fits their budget. One of the most critical criteria in finding an optimal plan is choice: having access to an abundance of primary care doctors and specialists and to highly ranked hospitals nearby. Some plans even offer access to a doctor 24/7 via phone, as well as in-home doctor and nurse visits for homebound or chronically ill patients. Medicare Advantage plans that include pharmacy benefits (Medicare Part D) have a list of approved medications and required copayments. 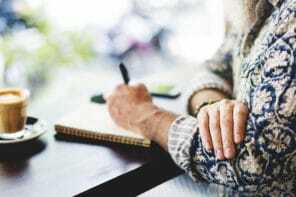 If your older adult has pre-existing conditions and needs ongoing prescriptions, check to see if they are on the plan’s approved list and if there are any costs. Costs for medications for chronic conditions can add up and each plan covers different medications. Plan benefits and costs vary, but there are good plans with $0 monthly premiums, $0 primary care doctor visits, $0 pharmacy co-pays, $0 hospital visits, $0 gym membership, $0 dental exams and $0 routine eye exams. Each plan comes with a maximum out-of-pocket limit on how much will be spent on health costs each year. Once that limited is reached, your older adult will pay nothing for covered services for the rest of the year. Medicare Advantage plans offer a variety of benefits that fit different lifestyles, health conditions, or circumstances. Depending on your older adult’s specific needs, look for post-hospitalization meal delivery, monthly allowances for approved health and medical supplies, basic annual dental and eye exams, access to social services, complimentary gym membership, psychotherapy and other mental health services, and more. Many plans offer connected care through electronic medical records and remote monitoring. Depending on its model of care, some plans help coordinate care through database algorithms that can identify missed exams, unfilled prescriptions and unusual biometric changes, providing members and caregivers with critical health care alerts via phone, email, or text. Many plans also now make information – such as benefits, lab or test results, or scheduling an appointment – available through online interfaces, such as member portals via the internet or mobile applications. Alignment Healthcare has developed a new model of care that harnesses technology for better patient outcomes, empowers members to take charge of their health care, and addresses concerns most seniors have felt about their insurance: the need for immediate access to quality care, the desire for a simplified process, and assistance with understanding and navigating their health care benefits. To learn more about selecting a Medicare Advantage plan or understanding Original Medicare, visit https://www.medicare.gov/find-a-plan/questions/home.aspx, call 1-800-MEDICARE, or speak with your insurance broker. For more information about Alignment Healthcare’s ACCESS On-Demand Concierge, visit alignmenthealthplan.com/access or to enroll in an Alignment Health Plan, visit: https://enroll.alignmenthealthcare.com/?HP=AHP. Dawn Maroney is president, consumer, at Alignment Healthcare. Alignment Healthcare has created a new model of health care delivery for seniors that cuts costs and improves lives by unraveling the inefficiencies of the current system to drive patients, providers and payers toward a common goal of wellness. Alignment Healthcare offers HMO plan options to California residents through Alignment Health Plan and partners with select health plans in North Carolina and Florida to help deliver better benefits at lower costs. This article is sponsored by Alignment Healthcare. For more information, see How We Make Money.